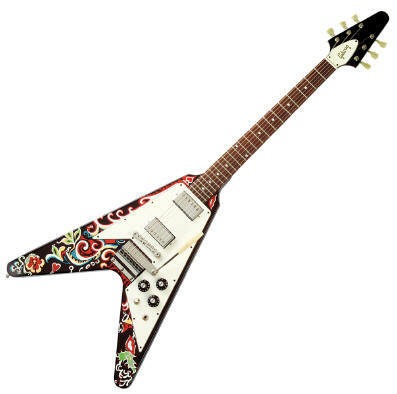 Jimi Hendrix's hand-painted 1967 Flying V is a near-mythical instrument. Purchased in 1967 and used on tour in Europe during 1967 and 1968, the guitar with its swirling, psychedelic designs highlight the spirit of the times and showcases Jimi's unique artistic expression. The entire instrument emanates a feeling of warmth and love.